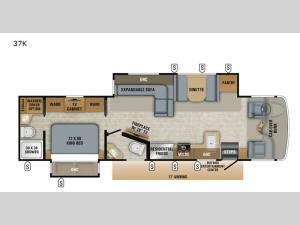 For an enhanced camping experience that will make you wish each trip lasted a little bit longer, you need this Seneca Class C diesel motorhome. 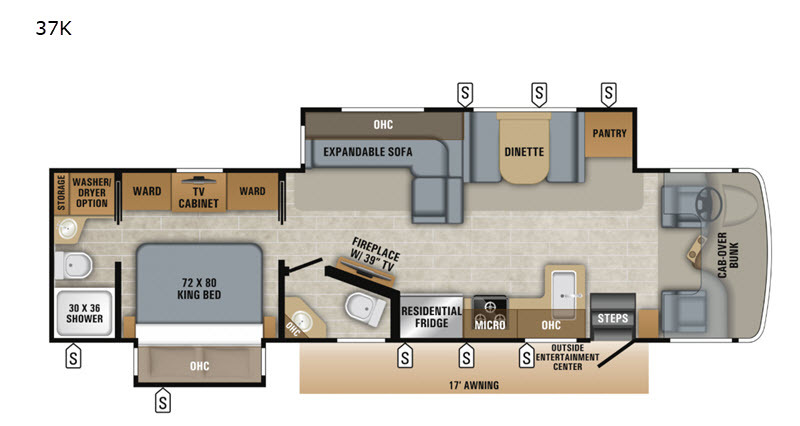 This unit will make sure that you are never at a loss for sleeping space with its slide-out king-size bed in the master suite, its bunk over the cab, and its expandable L-shaped sofa and dinette in the living area. 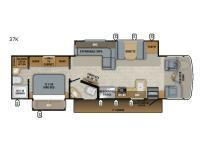 Your guests will appreciate the use of the half bathroom, and you will love having the full bathroom in the rear suite. Whenever you get hungry throughout the day, you can easily grab a quick snack from the large pantry, or you can choose a yummy plate of leftovers from the 21 cubic foot residential refrigerator.